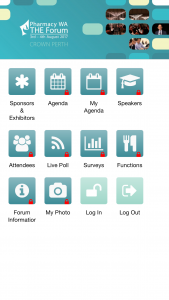 Our Mobile Attendee App providing attendees with all the information they require including daily schedules and session data as well as with direct communication to and between your attendees. The Mobile Organisers App allows us and associated committee members to access the agenda, session and function check-ins, monitor a Twitter feed, view live streaming sessions, search for attendees, send out alerts, communicate with other staff, access Run Sheets, run reports and more. 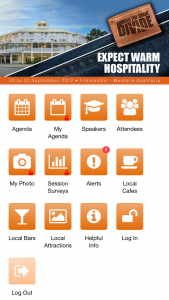 To find out more about our event app and how it can be introduced for your next event or conference, please email hello@eventandconferenceco.com.au or call 08 6102 2516.